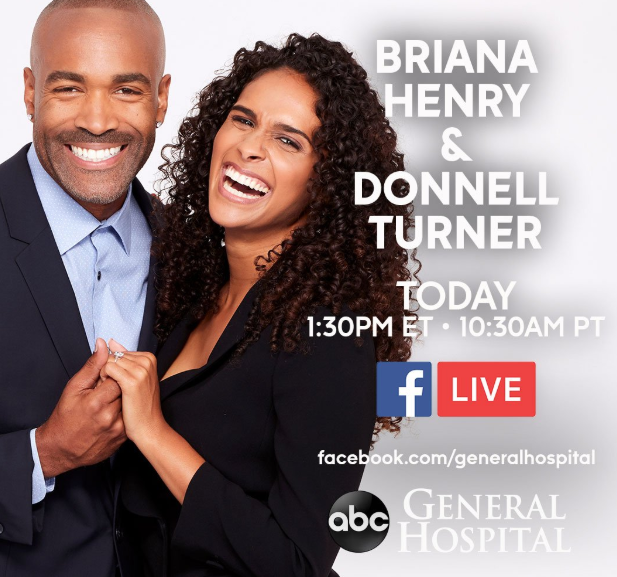 If you are a fan of General Hospital ‘s Donnell Turner (Curtis), Briana Henry (Jordan) and Vernee Watson (Stella), the place to be on January 23, 2019 at 1:30PMPT/12:30AMPT was on Facebook as they participated in a live Facebook event! Donnell Turner and Briana Henry took time from their busy General Hospital shooting schedules to talk about Curtis and Jordan. They were joined by cast mate Vernee Watson (Stella). Thank you Donnell, Briana and Vernee for giving General Hospital fans a special Wednesday treat!